So you understand that today’s economy has moved online, but your not so sure where to invest your time or money? David Baer has spent nearly two decades as a promoter and marketer, working in industries ranging from the performing arts to wine importing to business coaching. 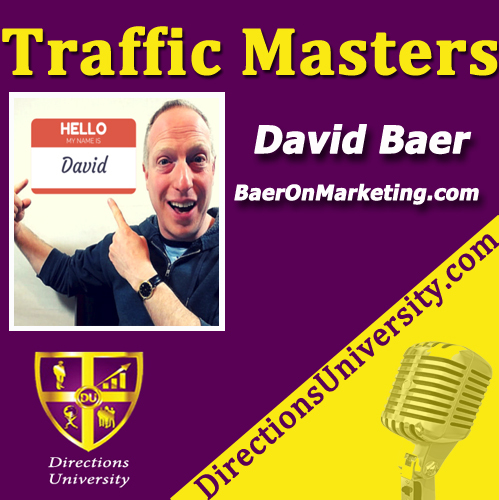 These days, David works with his clients to leverage Facebook ad campaigns to build their prospect lists, create authority in their field, and make more sales. David’s marketing expertise is informed by two decades of work in and around offline and online promotion and marketing in the wine and performing arts industries.